Hello Gravity gymnasts! Show off everything you’ve been learning in class at our upcoming spring showcase! 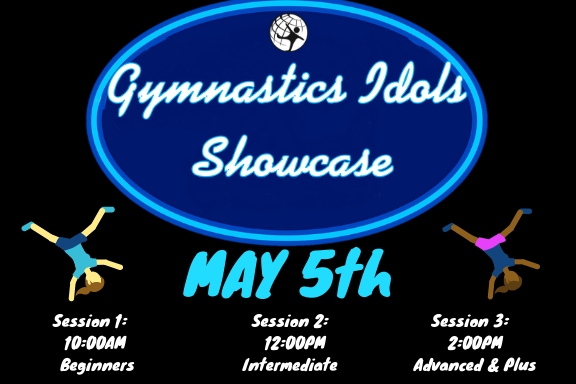 You’ll have the opportunity to perform skill demonstrations and routines at all four gymnastics events, and get a cool gymnastics medal for your accomplishments! – Click on “Register Now” above; this will prompt you to our Gravity Parent Portal. – Log in to your active account using your e-mail address and password. 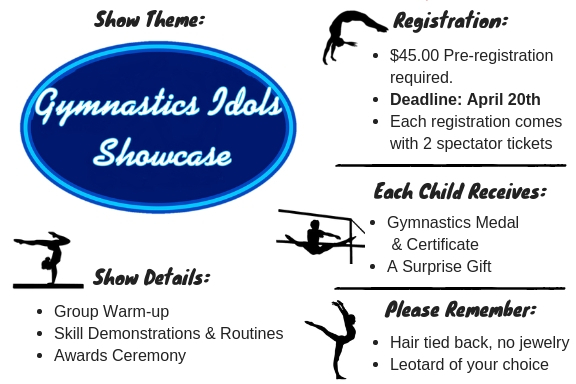 – Select “Gymnastics Idols Showcase” on left hand margin. 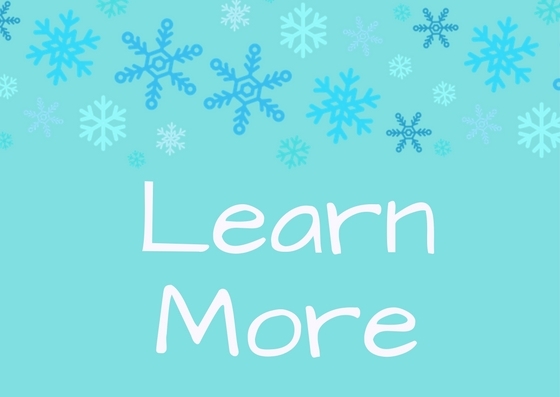 – Based on your child’s age and level, select the appropriate session and proceed with registration. – Each enrollment includes 2 admission tickets for spectators. Looking for Healthy Holiday Treats?